Mary Ann Gomes is the leader after 6th round. It was double round day on Wednesday. 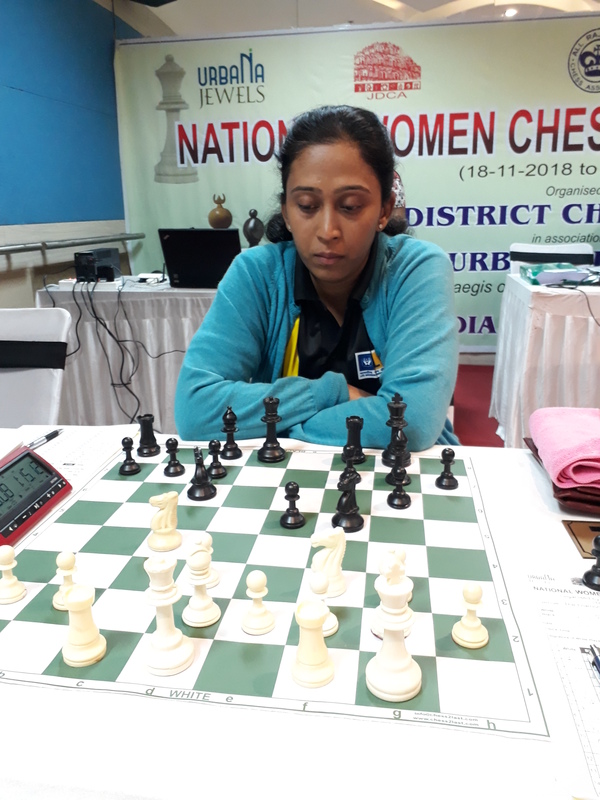 WIM Mahalakshmi from Railways lost to WGM Kulkarni Bhakti (Air India) after 5th round at The Diamond, Urbana Housing Society, Jaipur on 21st November 2018. 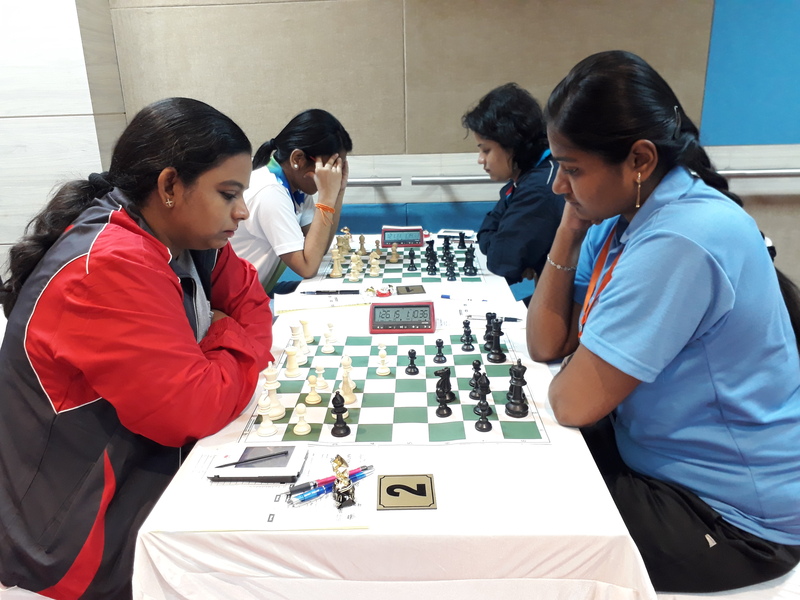 On the 2nd table IM Vijayalakshmi S (Air India) beat Balakannamma P (TN). 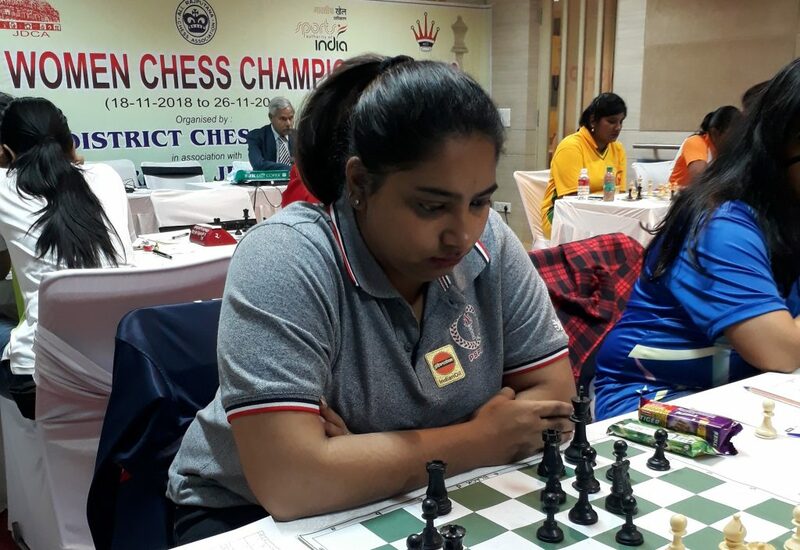 The game between IM Nisha Mohota (PSPB) and WGM Kiran Manisha Mohanty (LIC) ended in a draw. 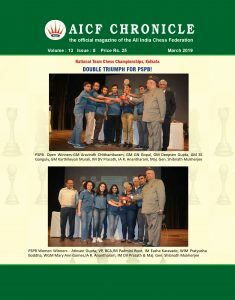 IM Vijayalakshmi (AI), WGM Bhakti Kulkarni (AI), WGM Gomes Mary Ann (PSPB) and WGM Swati Ghate (LIC) were the leaders with 4.5 points each. At the end of 6th round on the top board the game between Viji and Bhakti ended in draw after repetition of moves to the same position. On the 2nd table, WGM Gomes Mary Ann (PSPB) beat WGM Swati Ghate (LIC). The game between Saranya J (TN) and IM Nisha Mohota (PSPB) ended in peace. Mary Ann Gomes is the sole leader with 5.5 points. Vijayalakshmi, Kiran Manisha Mohanty, Mahalakshmi and Bhakti are right behind Gomes on 5 points each.